Is it crossing an ethical line for a critic to make wine? Wine writers not named Galloni have to struggle to make money; I can tell you that from personal experience. But in order for the public to trust you, you have to draw a line somewhere. 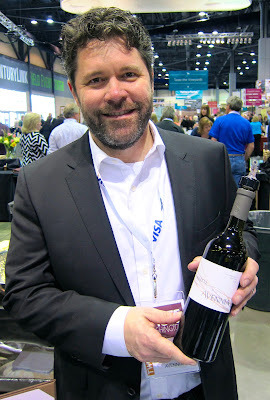 Paul Gregutt raises an ethical question with his new wine brand, Waitsburg Cellars. Gregutt has reviewed Washington wines for years, for the Seattle Times, Wine Enthusiast and other publications. He continues to be the Enthusiast's main Washington critic, and in fact his venture got an Enthusiastic post from his colleague Steve Heimoff. Here's the thing: Gregutt's wines are being made by Precept Wines, Washington's second-largest winery. Wine Enthusiast has known about this situation since last summer, when the deal emerged. "I'm not going to be reviewing Precept's wines," Gregutt said Thursday. "That would be a clear conflict." The question is, is it still a conflict to review other Washington wines? I'm big in Japan. I've been on national TV, and in the nation's leading newspaper, but really I'm just a fifth wheel. I spent a week tagging along with four US master sommeliers who decided to visit sake breweries: 10 in 8 days. They came for their education. I came because I love being the least knowledgeable drinker in the room. Then somebody alerted the media. 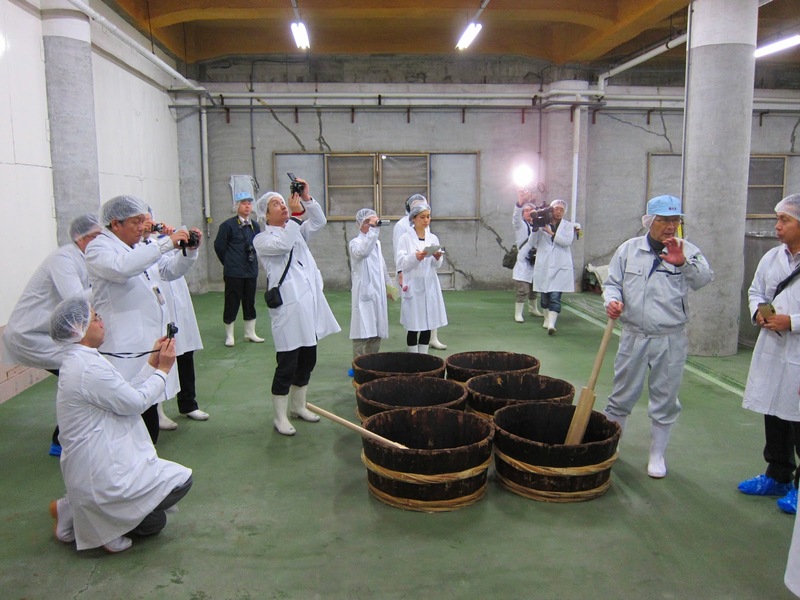 Instead of gathering the story, suddenly I was being introduced to TV cameras in front of a drunken banquet full of red-faced sake fans as "the story king." It started with one reporter from a small local paper who came to see us tour Hakkaisan brewery, which is in a remote mountain village in Niigata prefecture called Uonoma, with snowdrifts five feet high beside every road. There's probably not a lot of news in Uonoma other than the occasional person freezing to death if they don't pay the heating bill. Here's the image: a bottle of wine is served to a connoisseur. He pokes his prominent proboscis in it, frowns, summons the sommelier. "This wine is corked," he proclaims. 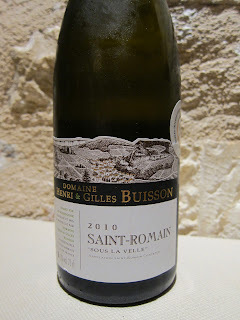 The somm snaps her fingers and minions whisk the offensive bottle away, bowing as they exit. I drank it. I drank 2/3 of a bottle of it. I didn't stop at 2/3 of a bottle because the taste of TCA had become unbearable. I stopped because I was tired and that was all I could drink. Why didn't I send it back? Whole Foods has become one of the most important retail stores in the nation because it's one of the few stores that can introduce sustainable products to a wide audience. But its marketing position is a mixed blessing. Whole Foods is a constant target for people who want it to be greener. The chain made the news this week by declaring that it will require all of its suppliers to label any food containing GMOs by 2018, but that came only after pressure from activists. Nobody is similarly pressuring Piggly Wiggly. When it comes to wine, the question is, what exactly is sustainable? California's statewide standards are self-reported and so loose that they're essentially meaningless. The situation is complicated by a USDA decision to require that "organic wine" not have any added sulfites, a vital component of winemaking and the source of much misunderstanding. * For most food products, shoppers can just buy organic and forget about it. For wine, they have to learn that "wine made from organically grown grapes" generally is good, while "organic wine" generally is not. That really complicates selling wine at Whole Foods. I gotta say this for Whole Foods: For a grocery chain, it has an interesting wine selection. Most grocery chains carry nearly all crap: big-production international-style wines with clever names and nothing distinctive beyond the marketing approach. Whole Foods has some of those too, but you can drink better from there than from any of its competitors. I wanted to know how Whole Foods decides what wines to carry, so I interviewed Joseph Kaulbach, supervisor of the wine and cheese division for Whole Foods' Northern California stores. What do you see as your mission? 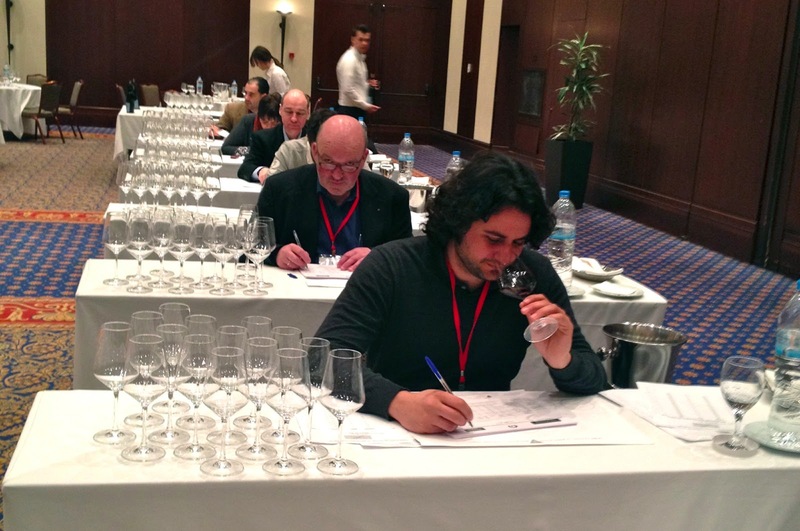 What's the best way to judge wine at a competition? The OIV, the France-based international wine thinks it looks like a sadistic grammar school teacher's dream class: Rows of desks, people facing forward, working. No talking, no passing notes, and -- get this -- no facial expressions. I just spent three days judging wine in Thessaloniki, Greece under this system, which is supposed to be the international standard, though I've never seen it before. Most American readers will tune out now, because we don't seem to care about wine competitions. But Europeans do care. Many successful wineries here talk about their first medal -- often not even a gold -- as a key moment in their history. Because competitions are serious business here, the OIV spends time thinking about making them as fair as possible. California wine is undergoing a shift from heavy hitters to lighter, lower alcohol wines. You know this because you are by definition the kind of person who reads about wine. The question has always been, how much does the rest of America know, care or support the new quest for balance? Here's your answer: there's a story in this month's Hemispheres magazine titled "A Little Bit Softer Now: Northern California winemakers tone down their approach." DRIVE DOWN THE BYWAYS of the Napa and Sonoma valleys at the right time of year, and you’ll pass vines heavy with glistening grapes just waiting to be turned into the big, tannic, high-alcohol wines—generally cabernets and zinfandels—that have made the region famous. These days, though, you’re also liable to spot a few vines that have been stripped of fruit early. These point up a new movement afoot in Northern California— a burgeoning faction of vintners interested in making more balanced vintages (read: less jammy, sun-ripened and strong). Hemispheres, the inflight magazine for United Airlines, is about the most mainstream media that an inteligent wine story can be published in. "I'll have a glass of the Saint-Romain, please." Americans are apparently drinking more wines by the glass. Labrador OmniMedia, a company that runs iPad wine lists and keeps all the data from them, released a study last week that shows that 80% of all wine orders at mid-priced restaurants are by-the-glass, and 66% of all wine orders at high-priced restaurants (with average check over $60/person) are by-the-glass. The company, co-founded by Jordan winery owner John Jordan, has 150 restaurants in 30 states. "Our biggest markets are Texas and Colorado," says CEO Josh Hermsmeyer. It's not a random cross-section of US dining habits. In addition to the regional limitations, all of the restaurants have iPad wine lists, which must say something about them. But it is an interesting snapshot of the way diners in forward-thinking restaurants drink now. 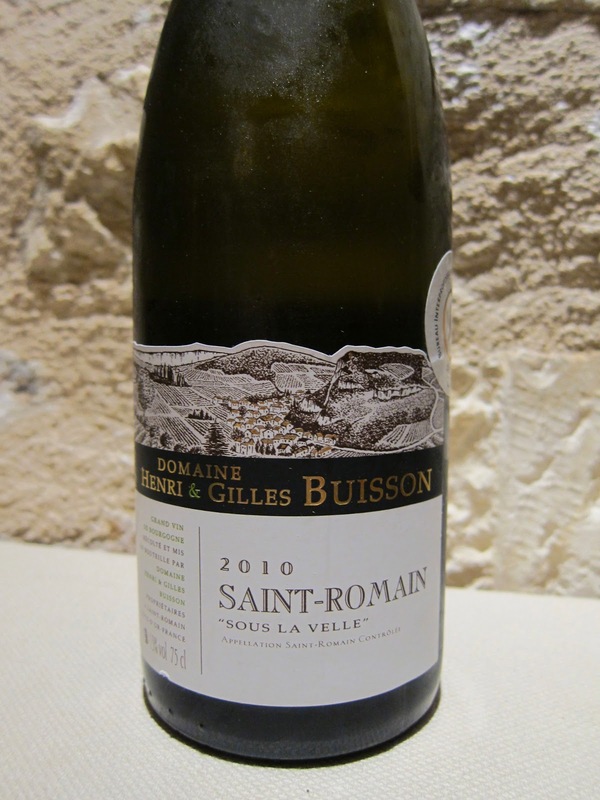 Ten years ago it was hard to get interesting wines by the glass outside of New York, San Francisco and a few other cities. Now it's increasingly the way people expect to drink. However, they're not lining up to drink Alvarelhao and Garnaxta Blanca in Denver and Dallas.